The cozy Sandra pullover combines easy fit with an exceptionally soft and luscious texture. Dropped shoulder seams and horizontal ribbing accentuate the relaxed fit, while prolonged back and side-slit keep the silhouette refined. 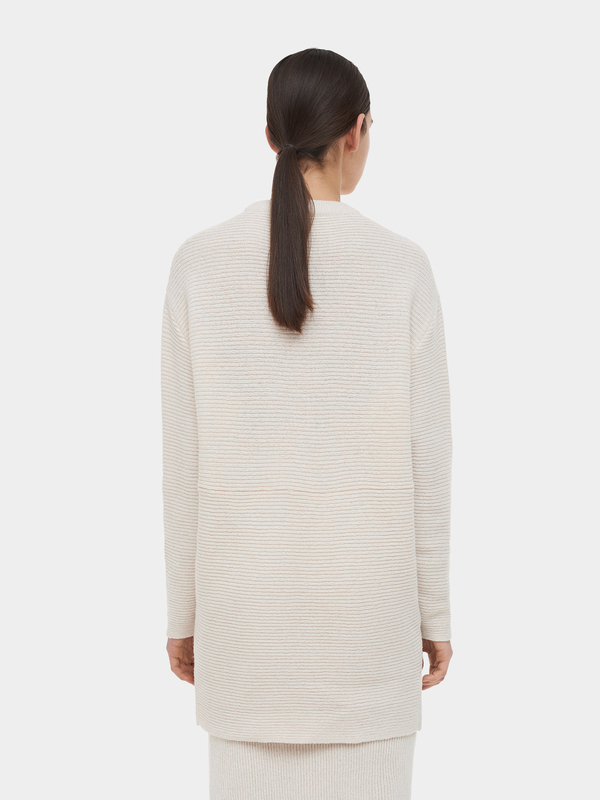 Made in Estonia of high quality lambwool the Sandra pullover in light beige color can be a great counterpoint to the form-fitting denim or pencil skirt. August’s fourth collection seeks to create an elegant gender-fluid aesthetic that draws inspiration from feminine and masculine wardrobe elements. 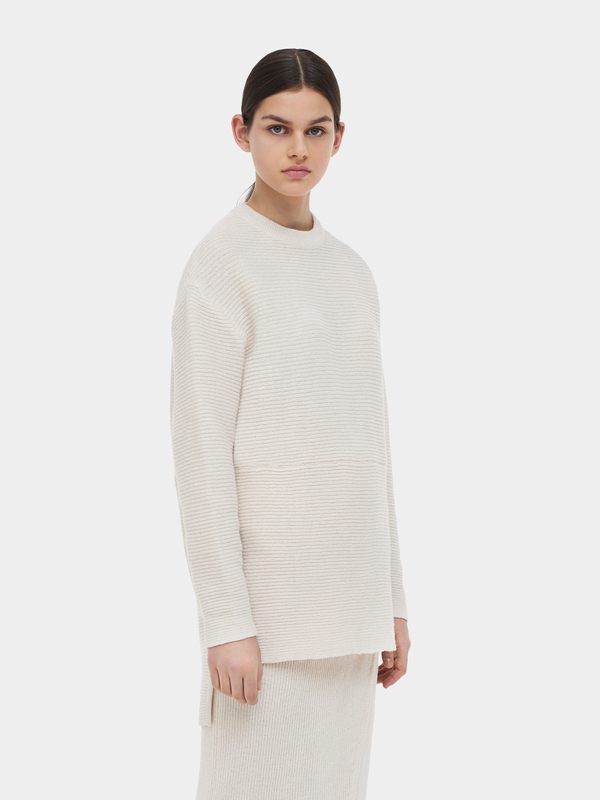 Comfortable everyday essentials with a modern twist combine minimal Nordic silhouettes with work wear components. Collection is designed sustainablly and made locally in Estonia. Particular importance is given to the manufacturing process and careful choice of natural materials (organic cotton, bamboo silk and lambswool). Cold hand wash; dry flat and do not iron.